Campanian media outlets are reporting the discovery of what might be a small catacomb below the former Church of San Rocco on via Camposcino, n. 48, in Giugliano, on the outskirts of Naples. Italian government archaeologists are investigating the cavities detected below the church during restoration of the pavement but have issued no statement as to their nature and function. 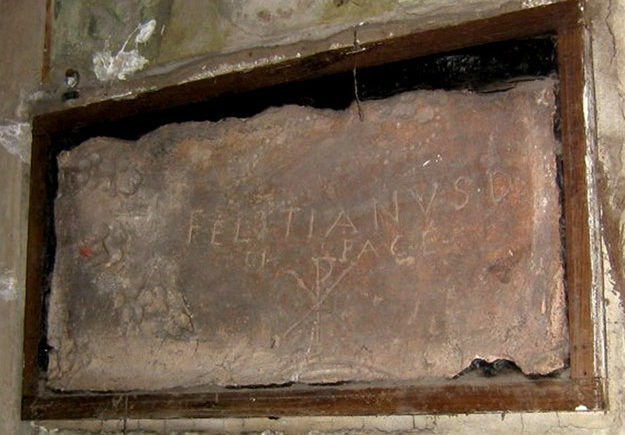 The relics of a Saint Feliciano, extracted in the mid-seventeenth century from the Catacombs of Priscilla in Rome, are venerated in the private chapel within the Palazzo Pinelli in Giugliano, to which they were translated around the year 1795. A link to the media report is below.